Italian scientists say blocking a protein produced by the P2X7R gene has the potential to stop mesothelioma in its tracks. Malignant pleural mesothelioma cell proliferation was inhibited by in vitro incubation in the presence of selective P2X7R antagonists. Scientists at the University of Ferrara have just released their findings on what could eventually be a new way to fight the asbestos-linked cancer, malignant pleural mesothelioma. Surviving Mesothelioma has just posted an article on the new research. Click here to read it now. The research team focused on a gene called P2X7R which encodes a signaling protein of the same name. They found that mesothelioma tumor cells stopped dividing when certain compounds were used to block the protein. “Malignant pleural mesothelioma cell proliferation was inhibited by in vitro incubation in the presence of selective P2X7R antagonists,” reports researcher Francesca Amoroso, PhD, a molecular biologist with the University of Ferrara. In an article in the journal Oncotarget, the scientists report that the same effect was produced when a P2X7R blocker was used on mice that had been infected with mesothelioma. “These results seem to suggest that there is reason for the mesothelioma community to pay close attention to P2X7R as a target for mesothelioma treatment,” says Alex Strauss, Managing Editor for Surviving Mesothelioma. "Surviving Mesothelioma will continue to keep mesothelioma patients and families informed of new research developments." 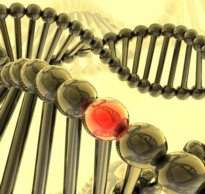 For a more in-depth understanding of the Italian study and how it may impact the development of new mesothelioma therapies, see Tests Reveal Potential New Gene Target for Mesothelioma Therapy, now available on the Surviving Mesothelioma website.